Halesi Mahadev Tour commences with nine hours long drive from Kathmandu to Khotang by a narrow road. It is 222 km in distance from Kathmandu and follows Dhulikhel, Nepalthok, Khurkot, Ghurmi, and Okhaldhunga villages. This day take rest at hotels in Halesi and next day visit the temple, worship and drive back to Kathmandu following the same route. Situated at an altitude of 3,100 ft. – 4,734 ft above sea-level, Halesi Mahadev lies to the east south of Kathmandu Valley in Khotang District of Nepal. It is believed that the lord god Shiva was hidden in the cave of Halesi with the fear of demon Bhasmasur. This cave is 67 feet beneath the surface and the entrance is in the shape of a half-moon that faces to the east. 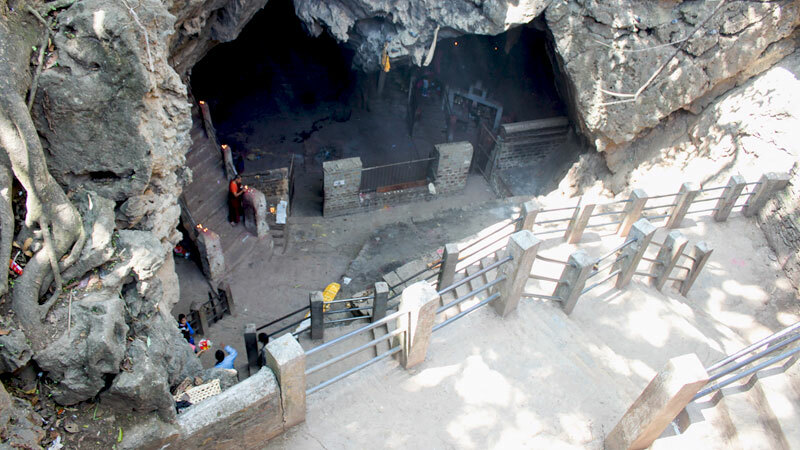 Inside the cave, there is a holy shrine of Shiva Linga measured to be two feet tall. There are two pillars close to each other on the north of Linga which makes the passage narrow. It is said that sinners cannot cross through this narrow passage. Devotees believe that worshipping the Halesi Mahadev blesses with the prosperity, knowledge, and wisdom. Day 02: Drive Kathmandu to Halesi. Begins the day with fresh breakfast at the hotel. Around 8 am get ready, check out from the hotel and drive to Khotang, Halesi Mahadev by private vehicle. The trail crosses with several beautiful small villages and wonderful landscape of terrace fields, green hills and yet more. Halesi Mahadev is 222 km far from Kathmandu and takes around eight to nine hours drive. Due to the snaky and round narrow road, you may feel uncomfortable. After such a long journey takes rest at hotels near Halesi Mahadev Cave. Overnight at Khotang. Day 03: Visit Halesi Mahadev and back to Kathmandu. Early morning visits the holy shrine of god Shiva inside the cave, explore the surrounding then drive back to Kathmandu following the same route. Overnight at Kathmandu. Take breakfast and you will have free time until 12 noon (hotel check out time). Then, transfer to the international airport for your onward destination. The time has come to say goodbye and bring the beautiful memories with you. Halesi Mahadev Tour Trip finished here! Twin Bed sharing (2-5 star) hotel accommodation at Kathmandu. Guesthouse, Lodge accommodation at Halesi. Kathmandu to Halesi Mahadev and back by private vehicle. Entrance/Monument Fees during sightseeing at Kathmandu. Wants some modification on Halesi Mahadev Tour itinerary? contact us to customize it.